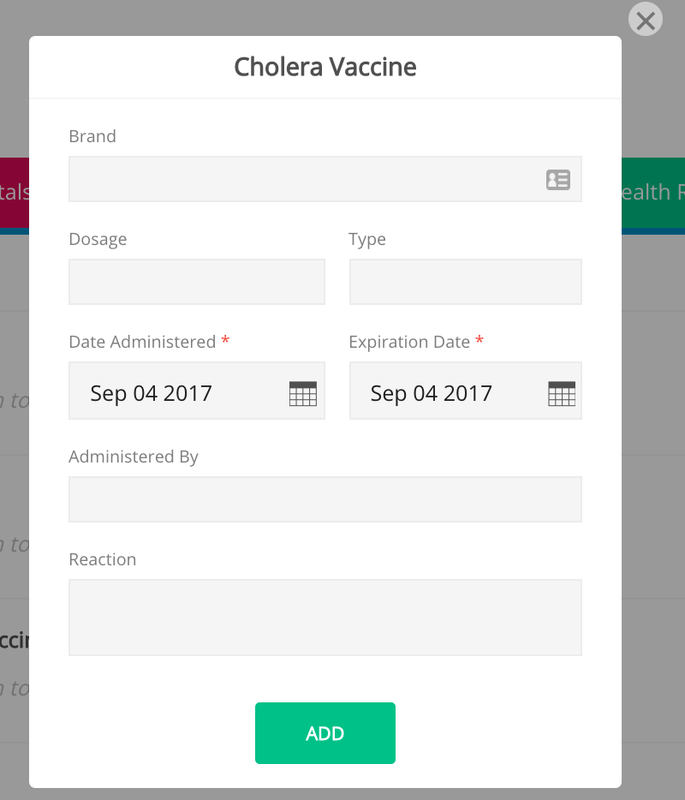 How to add the immunization records of patients? 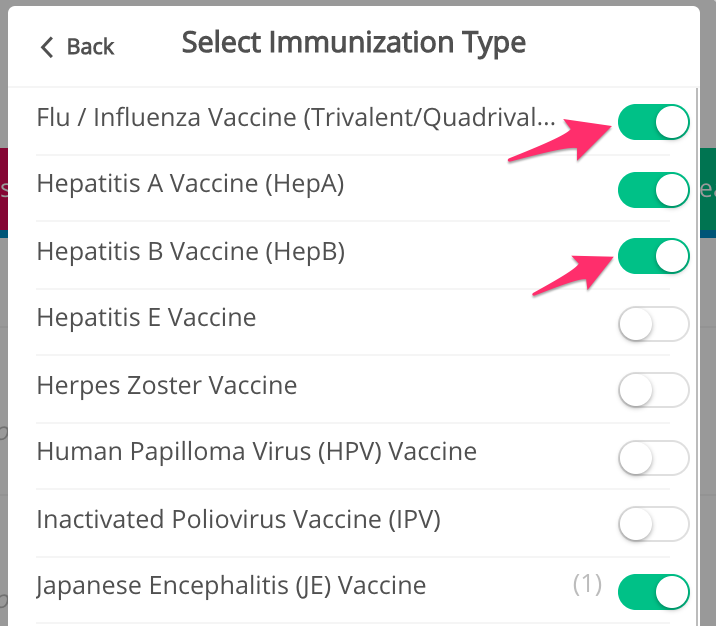 If this is your first time to use immunizations on SeriousMD, there's a quick setup that you need to do to personalize the Immunization area. 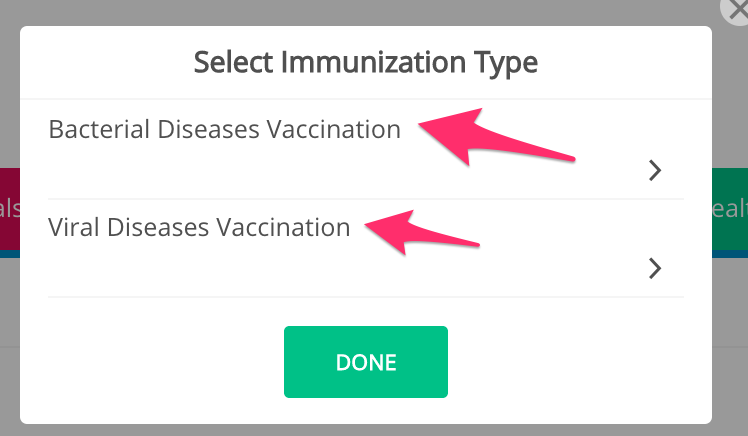 Step 3: Pick "Bacterial Diseases Vaccination" and/or "Viral Diseases Vaccination"
That's it. You've now set up Vaccinations. This list will now appear FOR ALL your patients, so there's no need to turn them on or off any more. If you don't see the date, then there's no data yet. Add the date of the vaccine. The other details are optional. Click Add button to finish. Remember to click on "Save" to save the information you've just added. Do not forget to save or your data will get discarded.